After reading those inspiring words I had to stitch more Hope into The Thing with Feathers on this first day of Spring, photographed in process with the beautiful handbound book by Margaret Johnson of “Hope” by Emily Dickinson that she gifted me last week, a wishbone from one of Ariel’s organic quails and beads from Nancy of Pomegranate Trail. 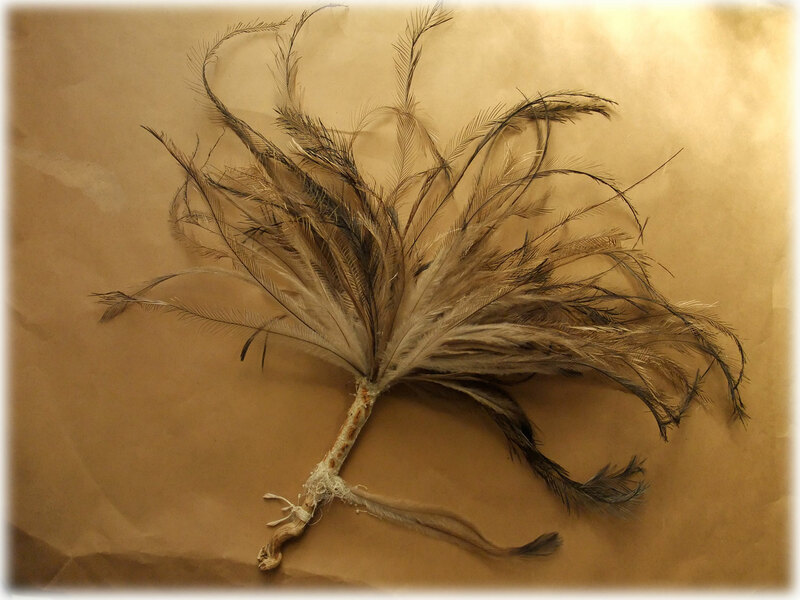 emu feathers, printmakers mull, melauleuca bark, very old glass beads from Africa, cotton and linen thread, a wishbone (from one of Ariel’s organic quails that he eats for dinner) and a piece of driftwood from the cove where we do our crow feather giveaway at the Winter Solstice each year. 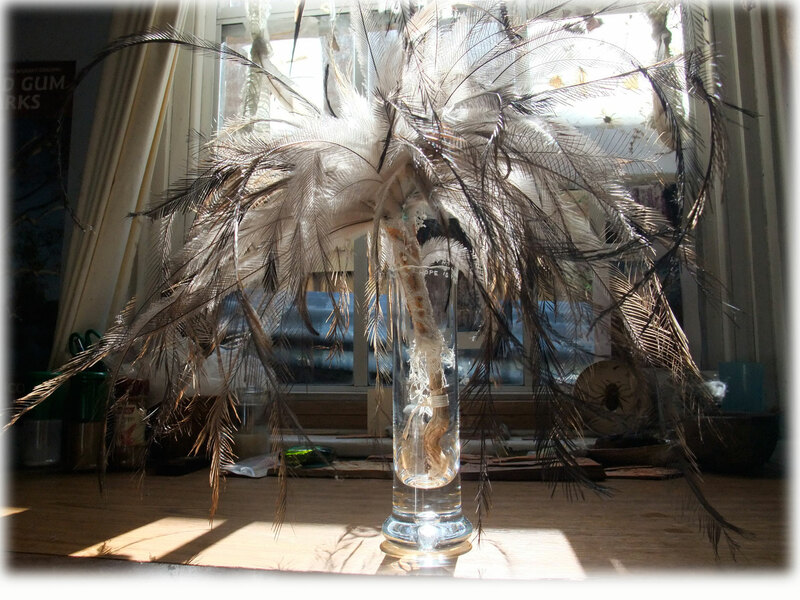 Update on this second day of Spring, this hopeful glass just happened… “the thing with feathers” needed somewhere to rest and I have carried around this cracked crystal vase for the past 3 moves hoping to carve the edge to make it safe to handle one day… well I just did it! 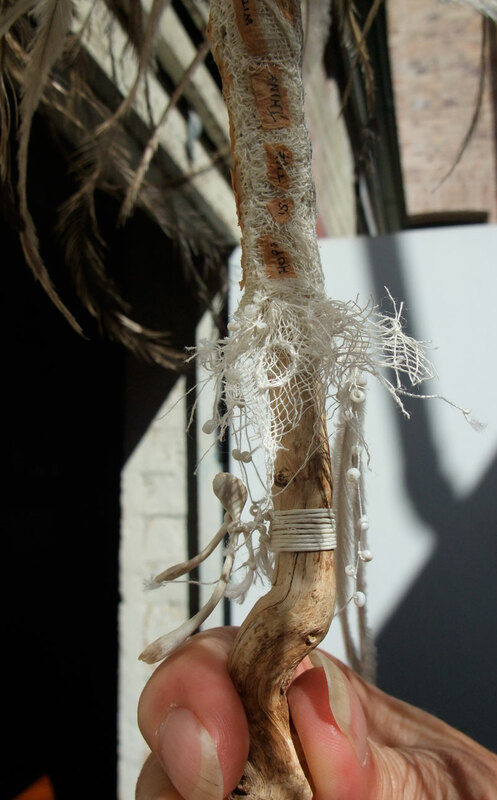 after receiving the most beautiful e-mail from Wendy Golden-Lovitt, a woman of great grace & getting started with Jude’s Spirit Cloth Diaries, talk about moving energy!!! 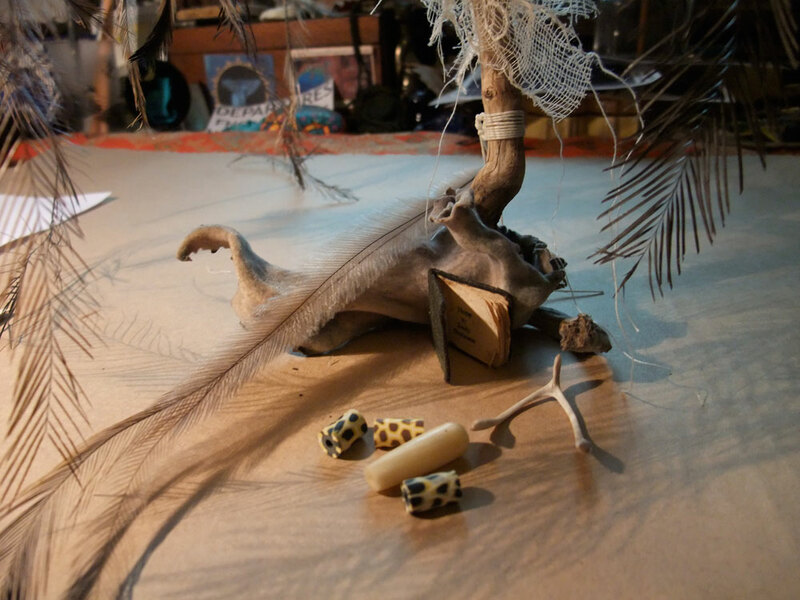 I woke up dreaming of how the nest of feathers makes the perfect setting for Margaret’s gift & it works… this is exciting! Amazing article by Wendy Golden-Levitt! Very inspiring. Thanks Mo and Velma. I agree…..Inspirational. I know I will going back in again & re reading. Thank you both. Inspiring article. 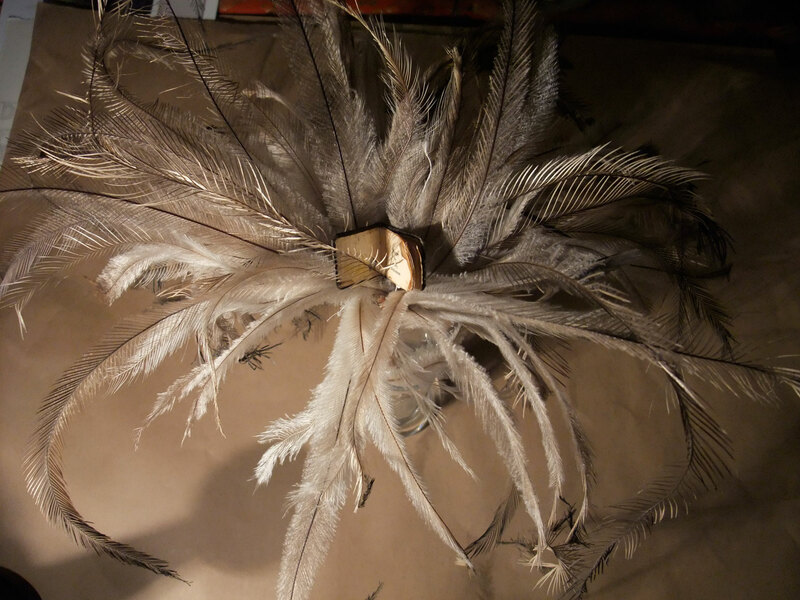 And the crystal was well worth bringing back to life–very lovely with the feathers. Looking forward to seeing what you’ll create in Jude’s Diaries. want to tell you how much i love your blog………. lots of winging over here today! thanks for the good words Steph !